Local Slimming World groups have been doing their bit to raise money and awareness for Cancer Research UK throughout 2018. Starting with “Sugar Free February” where members were sponsored to go without sugar for the month. In May, Slimming world as a company raised £3.3 million with “The Clothes Throw” a national campaign to collect clothes to be sold in Cancer Research Shops. South Leeds groups contributed 196 bags worth approximately £5,000. 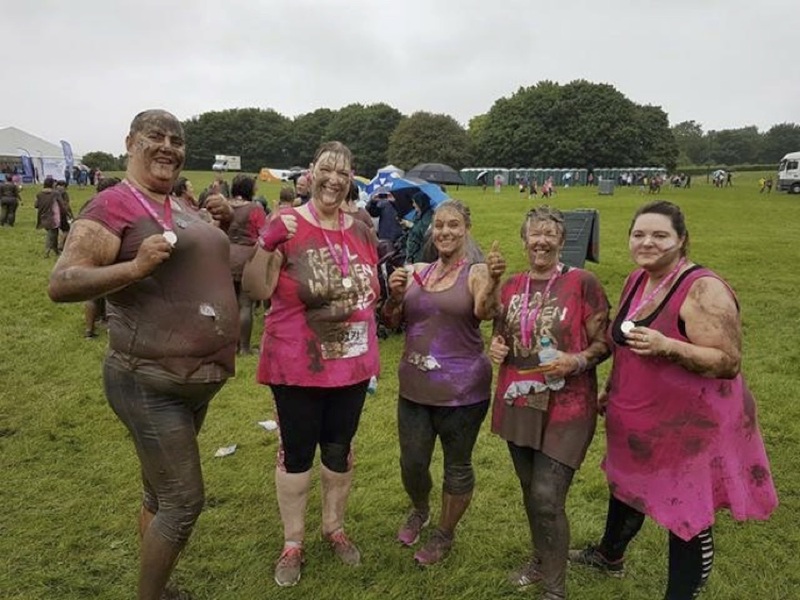 June saw members run the “Pretty Muddy” race for life enjoying a fun, mud filled obstacle race, raising money and awareness. “Cancer has touched so many aspects of our lives, family members, friends, members in group who are fighting everyday and ones we’ve lost too. 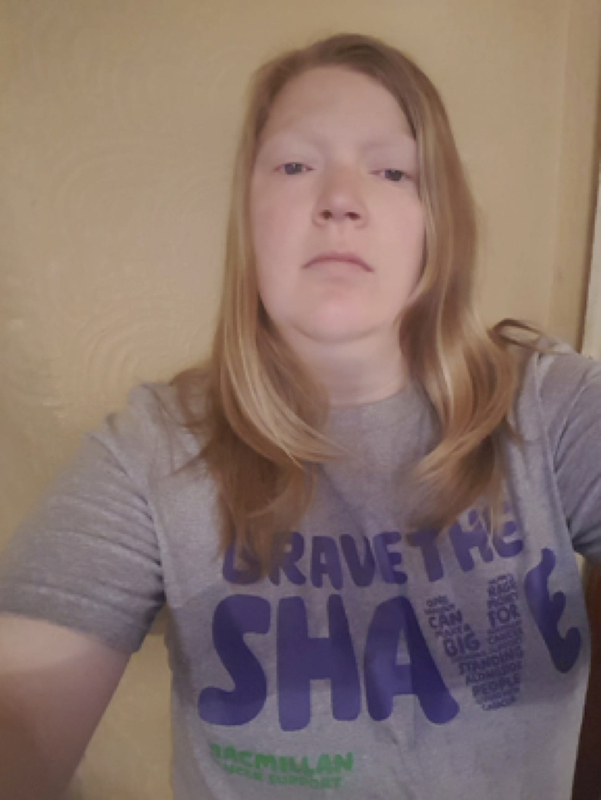 It affects us all and particularly with obesity being the second biggest cause of cancer – we will always do everything we can to raise peoples’ awareness and much needed funds” says Vicky Sampson, one of the consultants who run local groups. In August we “Stepped All Over Cancer” we collected money in group and outside Iceland Food Store in Middleton where we had a “Tin Can Alley” set up for children to have a go. Jess Pemberton, a member of Slimming World Hunslet completed a sponsored walk raising £135 of the £350 raisied. 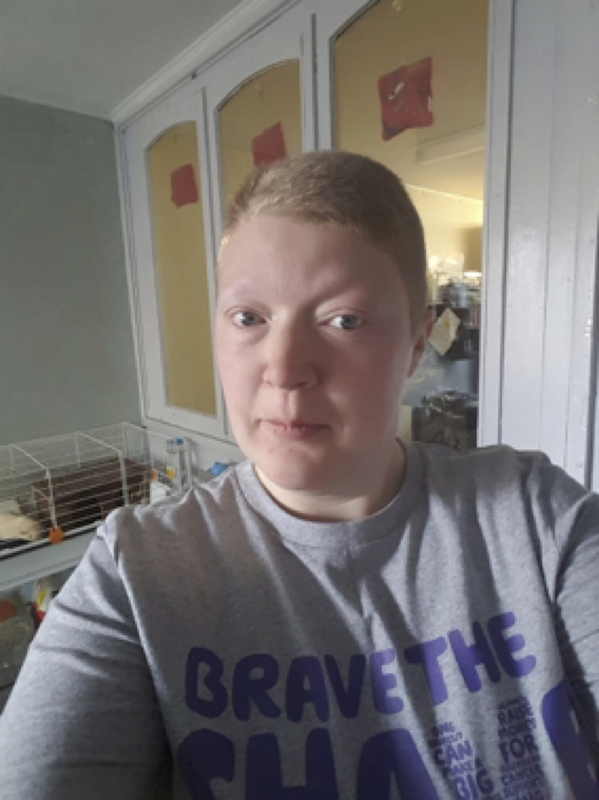 At the beginning of October, a courageous Hunslet member, Donna Waite, “braved the shave” having her head shaved to raise £150 for Cancer Research UK. We will be finishing up the year with “Vegetarian November” where members are not eating meat for the whole of the month. “Eating vegetarian fits in great with food optimising – Slimming worlds healthy eating plan as most vegetables are speed food and boost weight loss!” says Tace, another consultant who has embraced the opportunity to eat differently for a month. Plans are already in place for events to raise more money in 2019 – Slimming Worlds’ “golden year” where the company will celebrate being 50 years old. Slimming World groups are held Monday to Saturday in South Leeds, please see the website for details. This post was written by Vicky Sampson of Slimming World.